A Christian perspective of working as clinical practitioner in the Mental Health and General Medical fields. I have worked as a clinical practitioner in the areas of mental health and some general medicine for over 30 years. In this time it has been interesting to observe the many changes in medicine and the effects that it has on those receiving treatment. 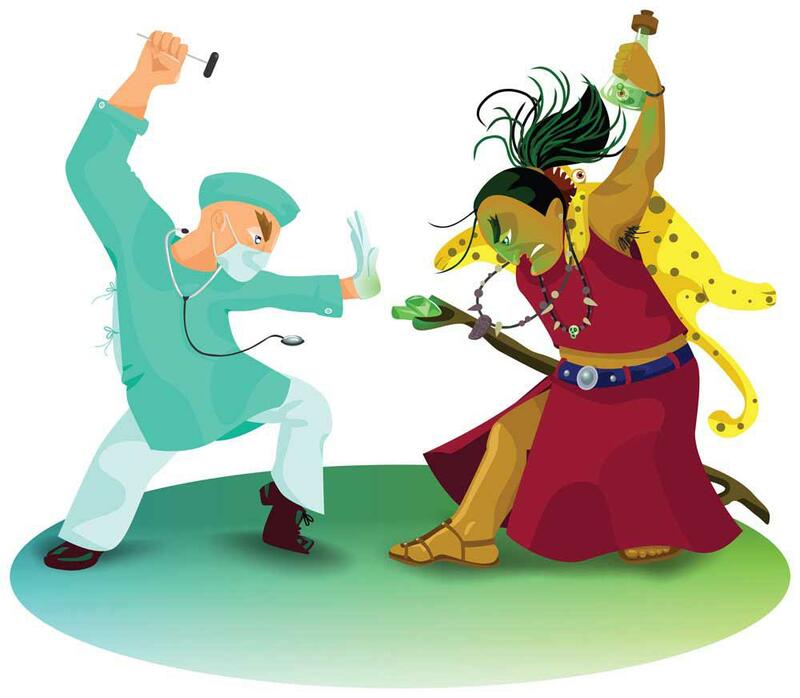 It would be fair to say that Modern allopathic medicine does a superb job of treating traumatic physical injuries, emergency medicine and surgical procedures. However it does a poor job of treating in a preventative way. Part of the reason for this failure is narrow approach used in treating both physical and psychological conditions. Many physical and psychological conditions may have an underlying spiritual and emotional cause. When just using pharmaceutical medicines, physical therapies and some very misguided psychological approaches, the best you can hope to achieve for many conditions, is a masking effect that does not treat the underlying cause. I remember listening to the late Dr Derek Prince discussing dealing with physical and psychological problems related to demonic causes. [Paraphrasing from memory] He likened the treatment of this condition to a physical wound with a piece of shrapnel (Derek served in the British army in the Middle East during WW2). Dr Prince said that in order to treat the wound, you must remove the cause of the injury, if there is shrapnel in a wound, it must be removed to get true healing started. Simply covering the wound with a dressing will not help and may even cause harm. It is the same with treating many physical and psychological ailments, unless you find and treat the root cause of the problem, true healing will not be achieved. As a Christian, I have been able to observe many psychological and physical conditions that may have been the direct or indirect result of sinful behaviour, and or possible inherited generational curses. It is my observation that those with chronic psychological and mental health problems, appear to have a higher incidence of physical illness, than those who do not. Having worked a good deal in the area of mental health, I am very much aware of how the mind affects the functioning of the body, it is observable. What many health practitioners choose to ignore, or disregard, is the impact that spiritual health has on a person’s life and wellbeing. Because many people no longer (or have never have had) connection to a Christian Church, Christian organisation, many people will ignore the spiritual/moral aspect of poor health. Whilst politically correct lip service can be given to the spiritual concerns of indigenous or migrant/minority cultures, any reference to Christian healing practices are largely shunned, or they are side lined into ineffective new age Christian ministries. These so called Christian ministries may even be detrimental to restoring physical and mental health, as they do not use a Biblical Jesus centred approach. The idea that sin, moral failure, the sins of past generations that result in curses, curses that come as a result of practicing those things that God has forbidden , demonic attachments and demonization simply does not play any part in the modern health practitioners diagnosis of physical and psychological ailments. As a health practitioner, if I were to express any of these aforementioned ideas as a cause of illness, I would be ridiculed, called a crazy religious quack and many things too unpleasant to mention here. Modern allopathic medicine largely adheres to secular Darwinian ideas, that we are biological machines that just need to be corrected; this idea even exists within the field of psychiatry. The explanation often given by psychiatrists to new patients, about why mental health disorders occur, is that there is a “chemical imbalance in the brain”. This position may well be accurate, however not for the reasons the psychiatrist may believe. In my years working in the health field, I have seen many folk that were unable to get a good treatment response from allopathic health practitioners. They have in turn gone to alternate health practitioners, and achieved a better outcome than that provided by modern medicine. I will state quite clearly that I am not against some alternate medicine practices; however, there are many that are non-biblical and may in fact open the person being treated to demonic intrusion. For Christians operating in the health fields in the Western world, it is something of a minefield. To openly profess your faith will often draw criticism, abuse or alienation. To suggest that prayer may be used for healing, lifting of curses, restoration or renewal of faith and in support of deliverance of demonic entities, this would be regarded as unthinkable. Unless you are an indigenous, migrant or minority culture (often non Christian) I do not say this to put down immigrant cultures but raise the concern around the double standard that exists within many Western organisations. Any idea that there may be a spiritual cause or cure, for physical or psychological problems, is treated as laughable. At one time, many years ago, medical practitioners may have been open to the use of prayer even begrudgingly, however now this would be considered unacceptable practice. To incorporate prayer and deliverance in my clinical practice would bring an official rebuke and may even bring dismissal, it would certainly be scrutinized by a professional practice body. One has to wonder at the spirit that operates behind this anti Christian thinking in the health field. My belief is that excluding the option of Christian prayer for healing and deliverance is now purely satanically and demonically driven. Satan knows that Christians praying will weaken his position and bring people to Jesus. Over the years I have been involved in situations where demons have manifested and I have had to pray against them. I have also been involved with people that needed to hear the simple words of the Gospel and the healing that the Word of God brings. I have seen the effects of multiple generations of mental illness, passing from one generation to the next. I have seen the effects of unforgiveness of self, and of others. I have seen those involved in occult practice and those using mind altering illegal drugs drive them into insanity time and again. I have watched the effect of legally prescribed medication simply mask symptoms of mental illness and physical illness. I am believing for a day that I (and others like me) can be free of a system that binds and ensnares both the recipient of health care, and health practitioners, rather than set them free. There are many many people out there that could benefit from those that would pray with them for healing and deliverance. That people would be set free from generational curses, would be set free from disabling and crippling physical ailments. Jesus spent a great deal of His ministry healing and delivering people from illness and demonic influence. He did not muck about either; He just got on with the job and gave them simple words to remain free from these problems. The simple message is the Gospel of the Lord Jesus Christ. He came in the flesh that we might be saved, that we would recognise and repent of our sin, ask His forgiveness and receive His grace, healing and deliverance, and best of all have our names written in the Book of Life.